Gen Xtinct: Funky Food Friday: Where's the Beef? Who woulda thunk that an 83-year-old lady could have such a major impact on America’s fast-food wars? 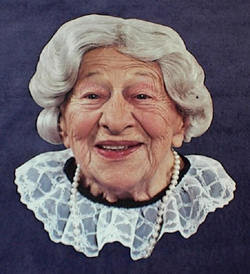 That’s what happened in 1984 when four-foot-11 Clara Peller opened her mouth and uttered those beyond-iconic words, “Where’s the beef?” in the instant-classic Wendy’s ad. Wendy’s credited the campaign for boosting their annual revenues a whopping 31 percent. The catchphrase quickly burst beyond the small screen, showing up on T-shirts, bumper stickers and school playgrounds across the country. Even presidential candidate Walter Mondale famously used the phrase to skewer his Democratic-primary challenger Gary Hart in a debate. The Wendy’s campaign came to a screeching halt the next year, after Peller did a commercial for Prego pasta sauce, implying that she finally found the beef. Peller died in 1987, but the pop-culture significance of the commercials and the catchphrase – deliciously – keeps a-going.